← Who’s JEBB and what’s this about a book? Quack, quack, quack! Guess who’s coming to town? The one-and-only Olivia Bartel will be with us on Sunday, February 23. Olivia is the Director at Camp Mennoscah. I’ve asked her to come talk with us about the beloved camp community. Hopefully she brings the one-and-only AeroDynamic Duck, local Murdock superhero. Olivia tells me the Duck usually shows up for birthdays and the occasional midnight swim at camp. Like I said, Jesse and I were at camp together as staff. 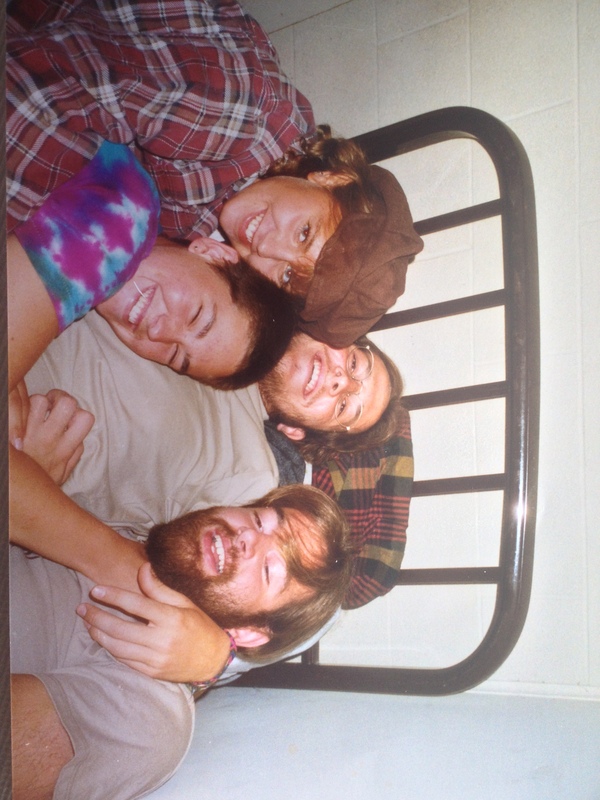 (Why we decided to take a camp staff photo in bed together beats me?!) 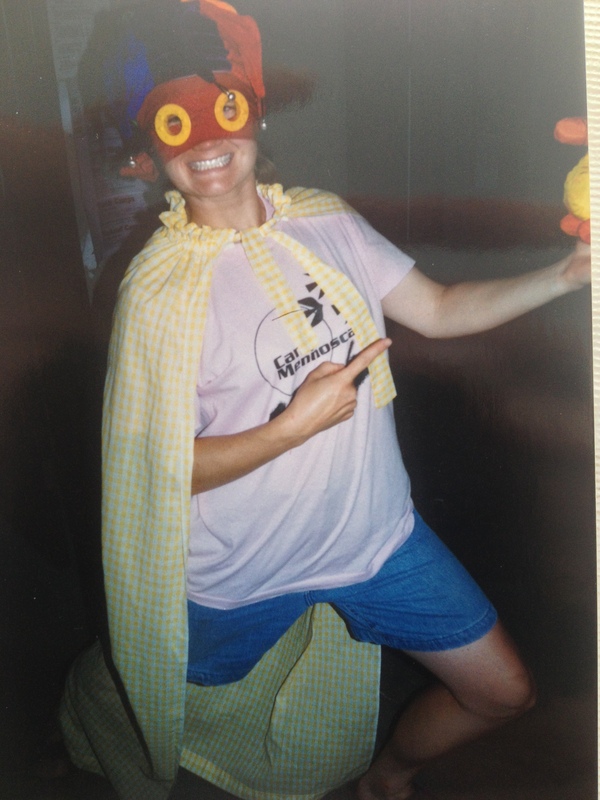 We don’t have a chance to go to Camp Mennoscah as much as we’d like, so we were especially delighted when Olivia asked us to co-direct family camp retreat July 26-27. Anyone from Rainbow want to come with us? During the Sunday school hour, the kids, junior highers and senior highers will have a chance to hear a little more about camp and learn some camp songs. Thankfully we will have the band Book of JEBB with us that morning to help play along! 1 Response to Quack, quack, quack! Guess who’s coming to town? I noticed your website’s ranking in google’s search results is very low. in top 10. I know – buying them is too expensive.